If you are looking to buy the Best PMP Book for the certification Exam Prep, you are at the right place. In this article, I have have done the review and side-by-side comparison of 4 PMP Study Guides that are best sellers on Amazon viz. Head First vs Rita Mulcahy vs Andy Crowe vs Kim Heldman. 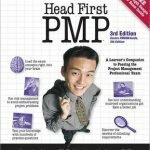 All the books, except for Headfirst PMP, are based on PMBOK Guide 6th edition. 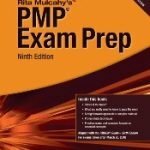 I have also written pros & cons, and my recommendation of these books that will help you in determining which is the best PMP exam prep book for you. In order to find the best PMP book, first I went to Amazon to find the top selling books. As a second step, I read the books and did a thorough detailed review. Lastly, I compared the books on various parameters. You will find links to the detailed review, review rating, and comparison in the table below. 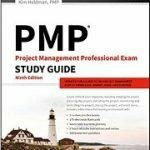 PMBOK Guide is the best PMP study guide. In my opinion, it is essential for the PMP exam prep. The other books, reviewed in this article, should be used along with the Guide to enhance your chances of success in the certification exam. You should definitely buy PMBOK Guide, if you are preparing for either PMP or CAPM exam. Let us now look at which PMP book is right for you. Check Price At Amazon PMBOK Guide 6th ed. based book not yet published. Review based on 5th ed. book. Which Is The Best Book For PMP Certification Exam For You? Every student can learn. Just not on the same day, or the same way. like to do crosswords & puzzles. want to have a very quick understanding of the subject. just want to focus on the Exam. want to learn the best tips & tricks for passing the Exam. want to do the most difficult sample questions. want to read an easy to understand book. want to read a book that has a very similar structure as the PMBOK Guide. want to study the PMBOK Guide processes PG-wise. love reading experiential case studies and a lot of prose. are a novice project manager. 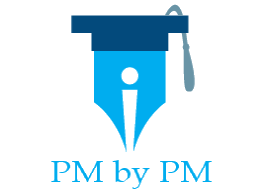 want to learn PM concepts thoroughly before taking the Exam. Before you make your final decision, answer this question.Would you buy a car X if 50% residents in your community has bought the car X? Or would you buy a car that suits your requirements? My point is that, you should not buy something just because it is popular. You should analyze your learning style and understand what is best for you. We are all unique people. We have different backgrounds, different knowledge & skill-set and different learning styles. What is good for me (or your friend), may not be good for you. So, you should buy a book(s) that suits you and your learning style. If you think one book is not enough for the exam prep or if you think you there are some good points in each book, then you can always buy more than one book. The cost of books will be marginal as compared to the exam and training fee. The books will be your main study material till you pass your credential exam. You don’t have to study each book completely. One could be your main study guide while other book(s) can be used for secondary reference. You can selectively study only those portions that give you maximum benefit. Go ahead. Do not wait! Buy the car…er…your best PMP book. Note: A digital copy of the PMBOK Guide is available free of cost to the PMI members. If you have taken the PMI membership or you intend to take it in near future, then you can forego buying the Guide. You can download a licensed pdf copy for yourself and use it on your computer but you cannot print it. The Guide’s pdf copy is licensed only to you – you can neither share it nor distribute it. Disclosure: I have not received any compensation (in cash or kind) from the Authors or the Publishers or anyone else associated with any of the books for writing this article. But this article contains affiliate links – it means that, if you click & buy from these links then, I will receive a small commission. This commission helps me in maintaining this blog for free. However, you don’t pay anything extra. I recommend only those products that I believe will definitely help the certification aspirants.